Hello world! It is rare that I get to sit down and write something that feels like good news, but TODAY IS THAT DAY. But first, a flashback: it's the last day of the year of 2014, and even though it is a holiday, we at the TRC are mourning the loss of a protective law. December 31, 2014 was the Protecting Tenants at Foreclosure Act's last day of life, and it sunsetted into the great beyond. And we were sad - without that law, tenants whose landlords are in foreclosures have no rights to: 1. know about the foreclosure, and 2., stay in the property once the rental unit officially ceases to belong to the landlord. Many tenants over the years, after faithfully paying their rent, have woken to discover that the sheriff is removing them, with no notice, due to no fault of their own. It was rough. BUT. THAT CHANGES NOW. THE PROTECTING TENANTS AT FORECLOSURE ACT IS BACK. AND IT'S HERE TO STAY. The TRC is a unique agency. We do a ton of amazing work on a shoestring budget, we have an incredibly committed and empathetic staff, but our ace card is, for sure, our volunteers. Volunteering for our agency is not an easy thing to do. But. It is worthwhile. Many of our volunteers go on to use their skills in their careers and everyday lives, to the betterment of everyone around them. Big changes are afoot! On Tuesday, April 17, 2018, Gov. Walker signed 2017 Wis. Act 371 into law. Therefore, the effective date is today, April 18, 2018. The changes are not reflected in the statutes (the legislative reference bureau says it'll be up next week). They are legally enforceable, though. So, for example: Wis. Stat. 704.07(3)a is supposed to have subsections 1 and 2, under the new law. But, as of this writing, there are no subsections. So, to everyone citing things in the laws: please be careful! Below is our list of things that we think will be most impactful to tenants and landlords. Hello, Friends! Tomorrow is the The Big Share,* an online day of giving through the Community Shares of Wisconsin. The TRC is so lucky to be a member of Community Shares, and today, they are supporting all their member nonprofits with an amazing, all-out fundraiser, for one day only. Keep up with us! Our Facebook page will have updates throughout the day! We will be sharing stories about our work, our clients, our successes and our challenges all day on March 6. The truth is, that our daily lives at the TRC are not easy. We talk to our clients about harrowing moments in their lives. We treat them like people. We witness their pain. We find solutions. But, it feels good for us all to take a moment, shake off the heavy, and talk about the wins. With your support, we do this to ensure another day doing this work that feels so right, in the midst of a world that doesn't always seem like it cares. And you could win, too! We will be giving away prize bags worth more than $300 each, to randomly selected TRC donors throughout the day! Any donation amount qualifies you to win, so give early and give often on March 6. 1. Follow the TRC on Facebook. That's where we'll be posting throughout the day. It's also where we'll post who the winners are once names have been drawn. 2. Donate to the TRC through the Big Share page. No donation is too small to help. Donate early and donate often. 3. Win big wins! See what we do! Know that you're part of a community which is doing something meaningful. Tomorrow's going to be a great day. Hope to see you there. Best Beloveds. We are on the third, and last, part of my Section 8 series (exposé? dissertation? riveting journalistic foray? you decide). Even though the process for learning all this has been engaging and eye-opening for me, I understand that reading it may not have the page-turning quality that, say, a Harry Potter book might. But, despite the law references and dry subject matter, there's a heart in here. And, at the risk of becoming sentimental, that's exactly why we do this. Today, I'm diving into terminations from the Section 8 program - when someone receives a notice that their Section 8 voucher will be taken away from them. Inside every Section 8 termination is someone who is terrified that they are going lose their housing. Most likely (because they are low-enough-income to qualify for Section 8 in the first place), they are about to become homeless, if they are not able to successfully dispute the termination. So, for every quibbly sentence about definitions of criminal activity, and references to what, exactly, is good cause, there's someone whose stable housing lies in that balance; who may need an advocate to tell them: "I've read about this! It's worth fighting! Try to overturn this!" Many, many clients get their termination notices and think, "this is it. It's already decided. It's over." BUT IT'S NOT OVER. There's so many more questions to be asked, so many more possible outcomes. I hope that when you read this, you see as I do, all the ways that we can work together to protect those who hold these vouchers, the tired, the poor, the wretched refuse, the huddled masses yearning to breathe free. As promised, I'm back with information for tenants about Section 8 vouchers (or housing choice vouchers, to use the proper terminology). I'm thrilled to be writing about this, because we get so so so many questions about how to get these vouchers, how to use these vouchers, how to find housing with these vouchers and how to deal with problems while holding a voucher. As a recap, Section 8 vouchers allow a low-income person or family to pay 30ish% of their income as rent to a landlord, and a housing authority pays the rest with funding from HUD. It's amazing when it works, devastating when it doesn't, and all the in-betweens tend to be pretty confusing. 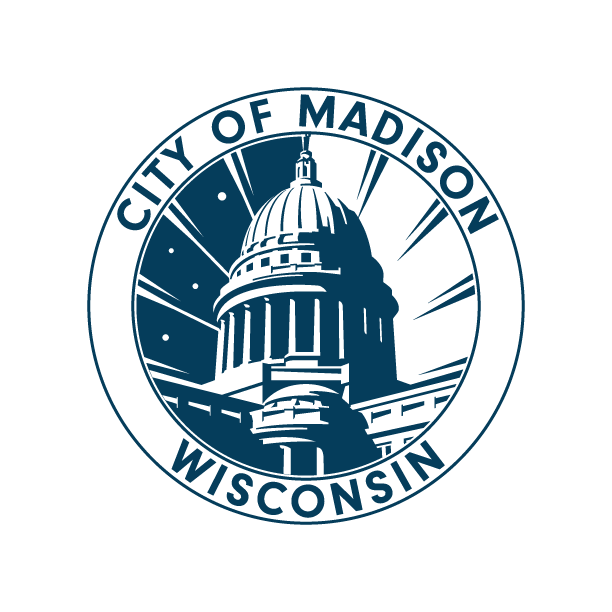 I was lucky enough to get some guidance from the City of Madison's Marketing Outreach Coordinator, and an attorney at Legal Action, and I'd love to share the fruits of my labors. This week's post is for tenants (last week's post was for landlords!). Next week, I'll address Section 8 terminations. On July 1, 2017, the Tenant Resource Center resumed housing counseling services for communities in Dane County outside of Madison, ending a service gap created by 2015 county budget cuts. Thanks to additional funding, the tenant rights institution has added staff, increased their call capacity, and are now able to help all of Wisconsin. Housing counseling. The Tenant Resource Center gives free information on rental rights and responsibilities to tenants and landlords statewide including all of Dane County. Anyone interested in counseling can call, email or visit the office. The Tenant Resource Center has sample letters, forms, and brochures on most major topics and provides services in Spanish and Hmong. Mediation. The Tenant Resource Center administers a program where certified mediators facilitate negotiations between tenants and landlords during Small Claims Court eviction hearings. These agreements are often payment plans that allow the tenant to remain in the apartment or move-out dates that give tenants time to arrange a new home. If the terms of the agreement are met, the tenant will not have an eviction on his or her court record. Mediated agreements have the same enforceability as those written by the court commissioner. Education and outreach. The Tenant Resource Center provides outreach and education through local workshops and seminars. The organization’s experienced presenters give informative talks around Wisconsin, are available for media interviews and participate in community coalitions. The Tenant Resource Center also provides brochures and teaches a biannual Housing Law Seminar series for landlords and service providers. The Tenant Resource Center is a nonprofit organization dedicated to promoting positive relationships between tenants and landlords throughout Wisconsin. The Tenant Resource Center provides information and referrals, education about rental rights and responsibilities and access to conflict resolution, empowering the community to obtain and maintain quality affordable housing.